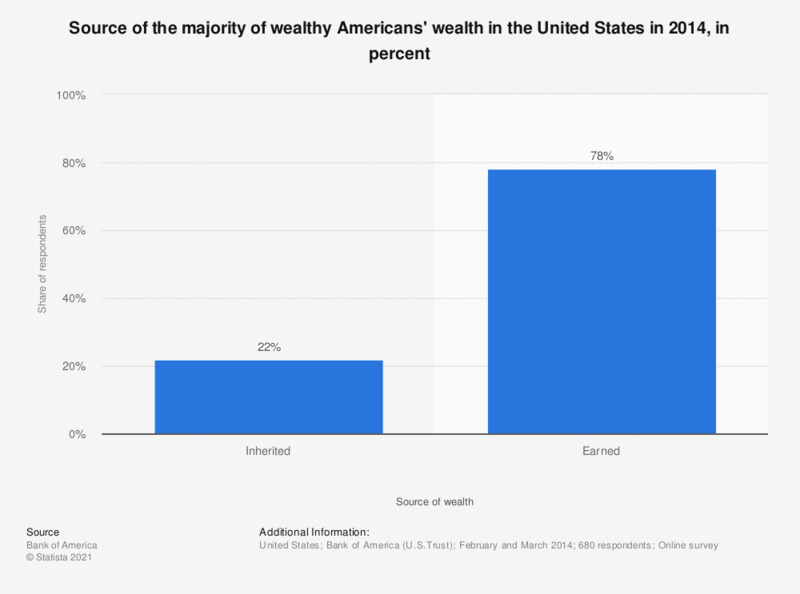 The statistic shows the results of a survey into wealthy individuals in the United States. This particular statistic deals with the source of the majority of wealth among wealthy Americans in the United States in 2014. In 2014, 22 percent of the wealthy individuals interviewed stated that they had inherited the majority of their wealth, whereas 78 percent stated they earned the majority either through income from work, investment, real estate or through the sale of their business. The 680 people interviewed for this nationwide survey were high net worth or ultra high net worth individuals. Do you feel more/less financially secure today than five years ago? Do you plan to change your investment strategy or seek tax efficient investments to minimize taxes due to recent tax law changes? Which of the following are reasons you own/collect these assets?